As the holidays approach, there are so many things that can fill a to-do list that it’s easy to forget to enjoy the moment. Before you shop for cards, gifts, and ingredients for the huge dinner party, take some time to focus on what’s really important and refresh your spirit. Then focus on maintaining the good manners that are important during the holiday season. Not all Thanksgiving dinners live up to the model of the Norman Rockwell picture. Instead, the stress and expectations often cause people to get caught up in the excitement and frustration that causes unnecessary drama. Relationships are complicated enough without having unrealistic expectations. Here are some ways to minimize the holiday drama. You’ve invited all the people you care about to join you for a holiday dinner, and then you discover one or more people are on special diets. Whether it’s a peanut allergy, gluten intolerance, or some other food sensitivity, it’s important to be considerate enough to accommodate them. Follow these tips on how to be prepared for those with special dietary needs. When someone is generous enough to invite you to dinner, a party, or any other holiday event, don’t ignore the request for the RSVP. In case you don’t know what that means, it’s simply a response to let the host know whether or not you’ll be able to attend. It’s essential for planning purposes. Try to avoid the stress during a time that’s supposed to be peaceful. Sometimes it isn’t easy, but there are many ways to focus on the season without losing your mind. 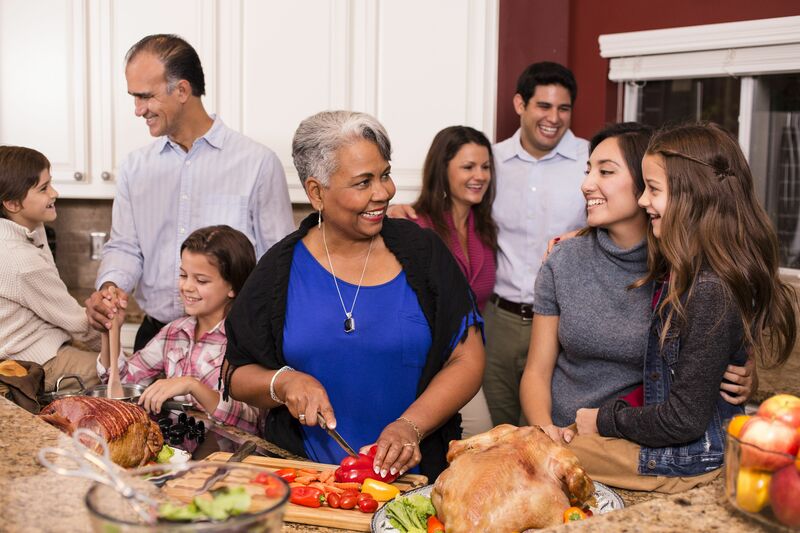 Turn your attention away from the trappings and toward relationships by sending heartfelt messages in cards, hosting a get-together with close friends, caroling with a few pals, and being a good guest. With all the hectic activity and expectations during the holidays, it’s easy to mess up. Spend some time meditating on what is important and prepare yourself for the things that can cause you to do something you know isn’t right. Don't show up late, stay off your phone, and don't tell inappropriate jokes. Here are some other things you shouldn’t do. Have you ever had the experience of someone handing you a gift when you didn’t have one for the other person? It’s happened to almost everyone. There are some things you can do to minimize the embarrassment if you’re prepared in advance. You’ll find some suggestions here on how to be prepared during the holidays. There’s nothing wrong with having fun at the office Christmas party, but it’s essential to remember where you are. If there’s anything you would never do in front of the boss during a regular business day, don’t do it at a party. Dress appropriately, stay sober, and follow the other company rules, and you should be just fine. Here are a few more tips on how to maintain business etiquette while still having fun at the office party. Some offices have gift exchanges during the holidays, while others choose not to. There’s an argument to be made on either side. 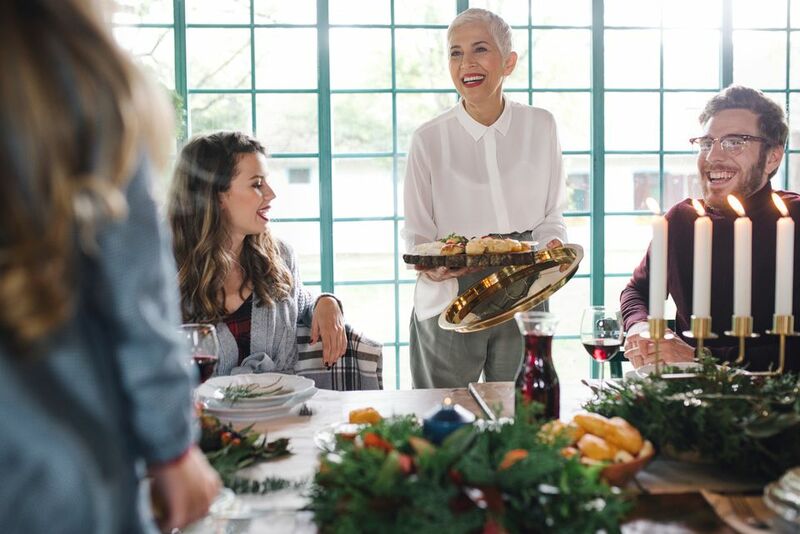 Regardless of what your company chooses to do during the holidays, there are some basic etiquette rules you should follow. You’ll find some tips here on what gifts are appropriate for coworkers and clients. Most people have received gifts that aren’t something they will ever use or enjoy, but they don’t know how to react or what to say. It’s important to remember the gift is a generous gesture that deserves gratitude. Whatever you do, don’t hurt the person’s feelings or embarrass him or her. Be grateful and pleasant. You’ll find some tips here on how to thank the person for the gift you don’t care for. Many people do a lot of visiting during the holidays, which is wonderful and welcome. Be the kind of guest that makes hosts smile when they see you coming. Bring a thoughtful gift that’s appropriate, and you may find yourself being invited again in the future. Most people enjoy being generous, but they’re not always sure how to do it in a gracious manner. Remember that the focus should be on the recipient and not on the giver. Give from the heart and never expect anything in return. Here are some ways you can give graciously. Don’t be that person who overstays her welcome and has the hosts rolling their eyes as they glance at their watch every few seconds. Look for clues and cues and leave when there’s the slightest bit of a hint that the host is ready to wrap things up. It’s better to leave too early than too late. Here are some tips on how to recognize the host’s clues that it’s time for everyone to leave. Thank you notes are always in order. Whether you received a gift or enjoyed the host’s great hospitality at a dinner party, it’s important to send a thank you note as soon as possible afterward. In fact, there’s nothing wrong with having the card ready to mail on the way home from the event. It’s not always easy to come up with the right words to express how you feel, and writing thank you notes is no exception. A simple “thank you” and the addition of a personal comment show grace and good manners. Here are some examples to help get you started. The most important thing to remember about the holidays is the goodwill and generous spirit they’re founded on. Be generous, kind, loving, and hospitable, and the season will repay you in wonderful dividends.